Staying active implies that you’re already active and exercising regularly. 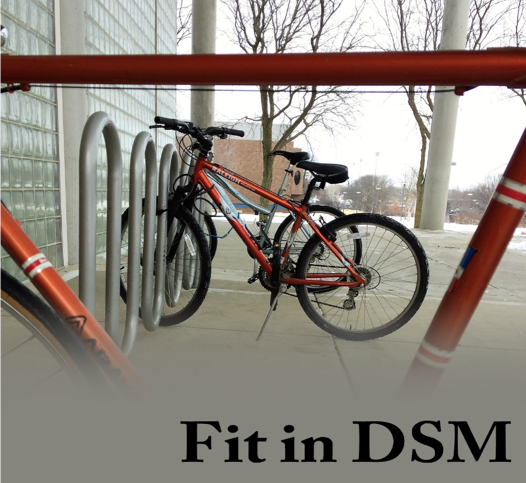 Getting active is the hard part and then things can get boring, but luckily this is Des Moines. There are plenty of great ways to start and stay having fun on your feet. The key to reaching any goal starts by setting one. For many that means running, and what better way than signing up for a 5k race. By signing up for a race well in advance you save on admission and give yourself plenty of time to train. Many of us rely heavily on Couch to 5k to get us there. It works even better if you sign up with friends, you know.. those other people who say they’re going to get in shape but also lack the accountability to actually do it. By signing up for a race together you have a deadline and each other to keep you accountable. Many Des Moinesians do this with their co­­workers and train over lunch. With so many to choose from there’s definitely one race for you. If you don’t want the visible recognition that comes with running in front of people, you’ll find lots of encouragement and companionship in less public places. Local dog parks are great places to get some exercise. Forget the Color Run, the happiest run anyone will ever see is on four legs. Don’t have a dog? No problem! The Animal Rescue League is happy to let you volunteer. With all that happy fur you won’t even notice the cardio. Check out the ARL’s list of parks in the metro and don’t be shy about asking about a furry cheerleader. Nobody will keep you accountable to walk like a canine friend. 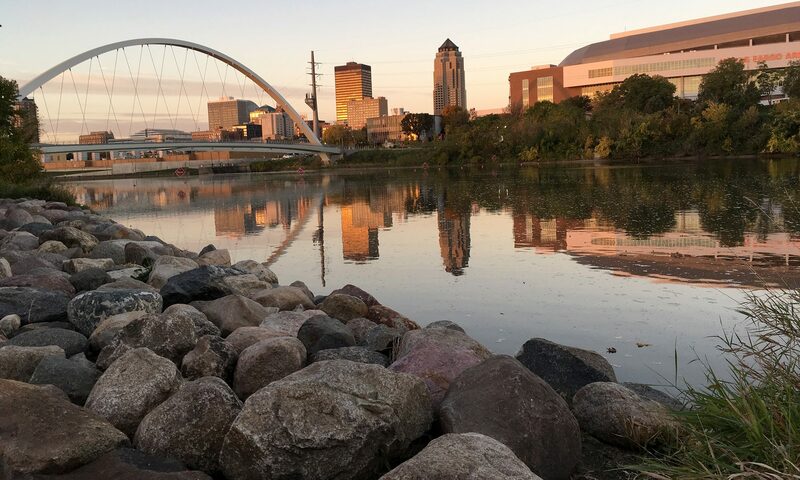 The best cardio in Des Moines is arguably found on the metro’s extensive 600 mile bike trail system. You can go basically anywhere on a bicycle and the scenery is marvelous. If that doesn’t sound fun, give the Bike Trail Bars a try and pair some beer or wine with your heart healthy routine. Rent a bike if you need to at any of the hubs. And if you like it at all consider signing up for RABRAI for some serious partying and serious cardiovascular benefits. If your legs could use a rest or your upper body wants some love the Des Moines Rowing Club would be happy to have you. Row up and down the river with a great team of new friends. You’ll quickly be converted into a passionate advocate. Experience is not required, but make sure to watch your calendar. If you like to be fit from head to toe or if you’re avoiding the outdoor weather, try climbing. There are several climbing gyms in the city, but Climb Iowa really takes the cake and burns it right back off again. You’ve never been to a gym where people were having this much fun. And if you dread those muscle heads at your traditional gym you’ll soon find that gravity evens the playing field and enables the lightweights. Once you’re ready to brave the elements again there’s always ice skating at the Brenton Skating Plaza or one of the local rinks if you prefer indoors or need some lessons. Forget the dermatologist freezing your body into better shape, mother nature will do it for free and Brenton will only ask a small admission fee. When your sufficiently sculpted and ready to heat things up, make your way over to the Des Moines Ballroom for some spicy new moves. This place also comes in handy to test and impress your partner. Lessons are always available if you need a good start or really want to leave your mark. If you need a break and time to relax from all that might just be to golf. There are several courses to choose from, but if you’re just starting out call Waveland and they’ll let you settle in. Bring the office and call it a meeting. What are you still doing here? Des Moines is waiting. Next PostNext Next Up and Coming City In Central Iowa? !